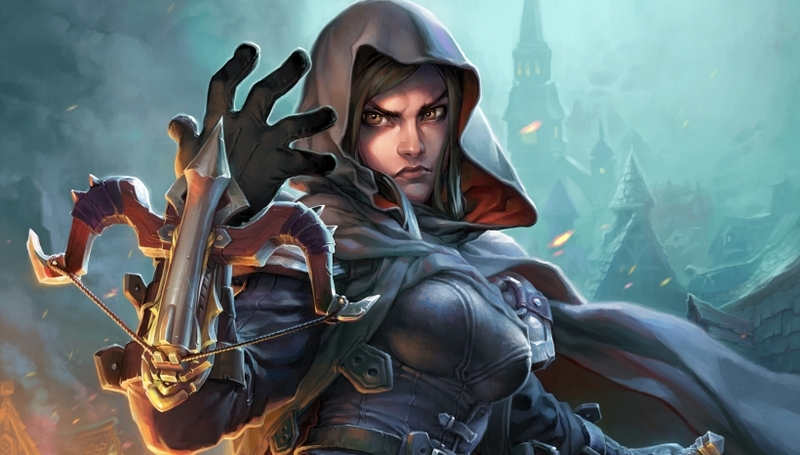 Our Thief Rogue deck list guide features the best Rise of Shadows deck list for Season 61 of Hearthstone (April 2019). Our Thief Rogue guide also contains Mulligan advice, card combos and strategy tips. Thief Rogue is a Hearthstone deck that many players have tried to make work over the history of Blizzard’s immensely popular card game. With some of the new cards being added in Rise of Shadows, though, it could finally see play in the game's top tier. As you’ve probably worked out already, this deck type revolves around stealing cards from your opponents and other classes in order to put them to use for your own devious game plan. There are many ways to nick cards from outside your class, while a number of cards also gain hugely beneficial effects while you’re holding these burgled cards - or after you’ve played them! Some of the game’s top pros have been theorycrafting deck ideas ahead of the Rise of Shadows release date on April 9, so that’s where we’ve been looking for a potential Thief Rogue list for the new expansion. We’ll continue to update this guide over the coming weeks with even more tips and tricks should the archetype soar in popularity. We'll also be tweaking the deck list regularly to make sure it's relevant to the emerging meta. Once the very busy launch window is behind us we'll be properly updating the rest of this guide. For now, it refers to the previous version of the recommended deck list but should still be useful! The following deck list is one potential version of Thief Rogue that could be played in Rise of Shadows according to Kripp. While the archetype hasn’t seen a lot of competitive play in the past, we’ll be keeping an eye on this following the launch of the expansion should it catapult into the top tier. The aim for Thief Rogue is to grab as many cards as possible from outside of its own class and use the extra resources to gain value over their opponents, or boost the effects of existing cards in their deck. While in the past the deck may have struggled due to the randomness of the cards it was awarded for its pilfering ways, there are now cards such as Underbelly Fence and Spectral Cutlass than can take advantage of stolen cards to more consistently enhance the power of the deck. Thief Rogue also has some frightening resource generation potential thanks to the combination of Academic Espionage and Tak Nozwhisker. Together these two cards can completely refill your hand and deck with minions and spells, which should give you the late game reach you need to beat many other deck types. Open the game by looking to keep your opponent’s board in check with low-cost minions and your hero power. You can burn a Deadly Poison if desperately needed to buff up your weapon attack, but it would be better to save for later if possible. Begin using steal effects to get some of your opponent’s or other class cards into your hand. That way you can take full advantage of the bonus effect from Underbelly Fence in order to out-value your opponent. Continue stealing more cards for your own uses. If you’ve established control of the board you’ll want to start pushing for damage where you can, as Rogue has a tendency to run out of Health extremely quickly due to how much the class uses it as a resource to clear opposing minions with weapon attacks. Countering that, though, is Spectral Cutless, so try to buff this weapon as much as possible using card effects and spells. If you don’t have it in hand, a Combo with Raiding Party is essential. Elsewhere, Vendetta and Zilliax can be helpful ways to catch up should you have found yourself falling behind on the board, with the former is especially good for a tempo play at zero mana alongside other cards to give you the initiative. Some potentially huge plays are on hand here in the late game should you need them. The main one comes from combining Tak Nozwhisker with Academic Espionage to give you a huge pool of extra resources to draw from should you be running low. Remember, you’ll need Preparation on hand to pull this off in a single turn. And just hope you’ve had enough Lifesteal to survive into this stage of the game! Tess Greymane is a great play at this point in the game too: all of the cards you’ve played from outside your class get an encore showing when she enters the battlefield, which can usually represent enough value to gain a huge edge over your opponent and seal the victory. 1. As this deck lacks board clears try not to fall too far behind against aggro. Use weapon attacks and cheap minions to stay on pace in the early game. 2. As a follow up to the first tip: watch your Health at all times. Trading it away to destroy minions is good but aggro decks can race you down quickly if you spend too much too fast. 3. Throw up a Dread Corsair if you’re desperate to stop an aggro onslaught, or hold out for a little longer until you can get some Lifesteal going to keep you in the game. 4. If you can starve your opponent of resources then you can take more control the longer the game goes on. You have the card generation to keep going, whereas your opponent will be left empty handed. 5. In desperate times, a Preparation can help you get to one of your spells early that may keep you in the game, such as Raiding Party. Or you can burn a Vendetta at full cost if you need to clear a minion. 1. As you won’t be under too much pressure right from the off, take some time to freely steal extra cards while you’re not under threat. 2. Take opportunities to deal damage where you can, though, as if you give a Control deck too much room they will steadily run away with the game. 3. You shouldn’t feel too threatened by a fatigue game as you can generate many additional cards through the likes of Academic Espionage - even more so if combined with Tak Nozwhisker. 4. Be cautious with how many buffs you commit to Spectral Cutlass. Many Control decks run weapon removal and all that investment could be gone in the blink of an eye! 5. Though you aren’t playing too heavy of a minion game you’ll want to keep board clears in mind in case you do overextend and lose far too much to a single card. - Preparation can be used to reduce the cost of all spells in this deck by three Mana. Think particularly of cards like Myra’s Unstable Element and Sprint in this context. - Underbelly Fence has the potential to be one of the best minions in the deck. With all the cards you can steal from outside your class, this creature should generally have the stat buff and Rush keyword added to it, representing some significant value at just two mana. - Raiding Party is a solid inclusion in Thief Rogue as it can be used to draw Spectral Cutlass from your deck while also bringing a couple of pirates into your hand. - You can ensure your Spectral Cutlass stays equipped for longer by playing the cards you’ve nabbed from outside your class. Each one will add a point of durability to the weapon giving you the extra healing you need to survive as a Rogue. - Captain Greenskin can make your Spectral Cutlass even more powerful, as he’ll give it a +1/+1 buff when played. - There’s a good chance you’ll have a stolen card in your hand at nearly every moment in the match, so Vendetta should be a free burst of four damage to minion when you need it. A wonderful removal tool! - Tak Nozwhisker and Academic Espionage have the potential to be one incredible combo in this Thief Rogue deck. If you play both at the same time - with the help of Preparation - you’ll not only get copies of each card shuffled into your deck but also in your hand too that can be played for just one mana!